March 2016 - Bernardo Cortese M.D. 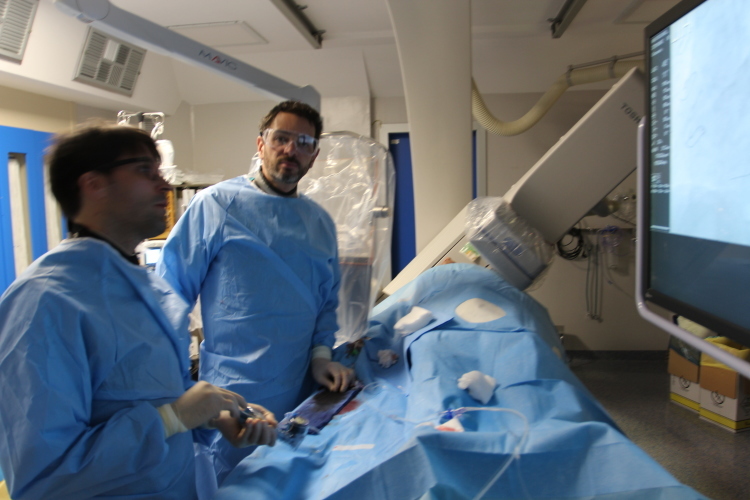 Great news-a few days ago I had the chance to use a sirolimus-coated balloon for coronary PCI in the first european patient (to say the truth, the first patient of the western world)!! This very promising device just obtained the CE Mark for this application. A long way is ahead and I am really excited to be part of this adventure in designing a strict scientific program on the matter. In fact, no one wants to repeat the mistakes of the paclitaxel-eluting technology, that has only now reached a reliable scientific background. 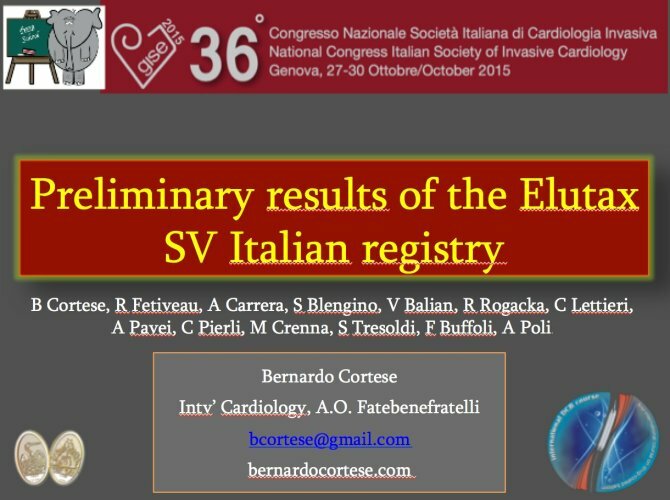 This is the preliminary presentation of the results of the Elutax SV registry, a retrospective, national registry that is investigating the performance of a new-generation DCB for any coronary indications. 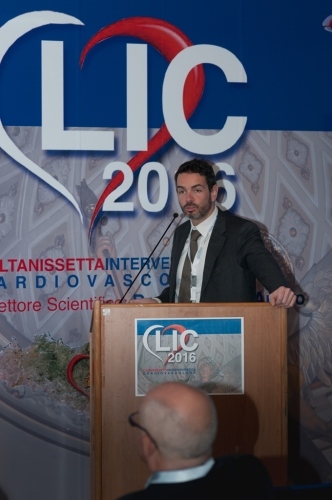 Much debate is currently running on BVS performance in small coronary vessels. I am here attaching one of the few publications available worldwide, that our group coordinated recently: the BVS SAVE study. This poster was presented at both the 2015 GISE and TCT meetings. Please take a look at the results.